The Evolution central air conditioner delivers the ultimate in whole-home comfort with our highest SEER rating to ensure the finest in energy efficiency and economical performance. 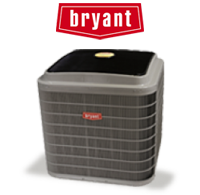 Details As an ENERGY STAR partner, Bryant has determined that Evolution® Model 180B air conditioners that achieve system combinations of 14.5 SEER and 12.0 EER or higher meet the ENERGY STAR guidelines for energy efficiency. Proper sizing and installation of equipment is critical to achieve optimal performance. Split system air conditioners and heat pumps must be matched with appropriate coil components to meet ENERGY STAR criteria. Ask your contractor for details or visit the ENERGY STAR web site.